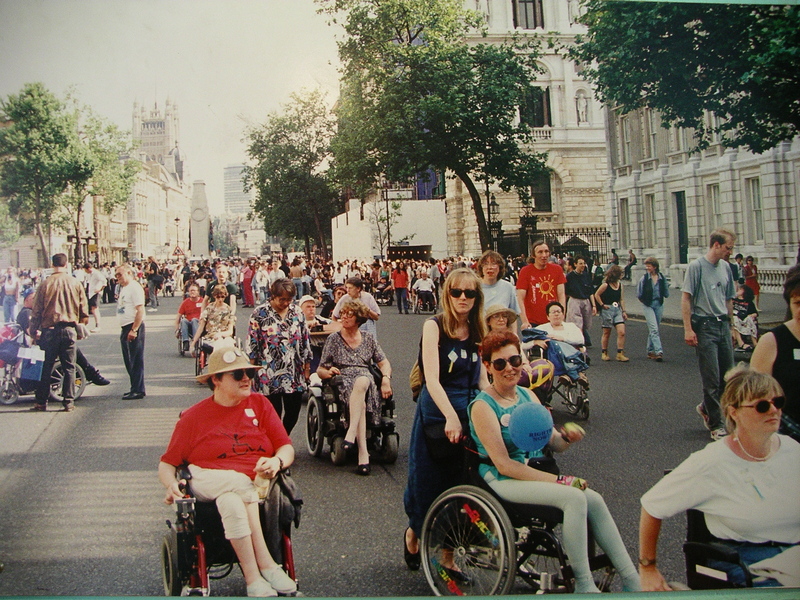 Description: Disabled people marching in Whitehall, London, on 9 July 1994 for “Rights Now” Anti-Discrimination Legislation, in colour. There are around 400 images of campaigning by disabled people, from 1920 to 2007. These are organised as a collection of albums, each album for a named event. These images can be shared for non-commercial use. Please feel free to browse. 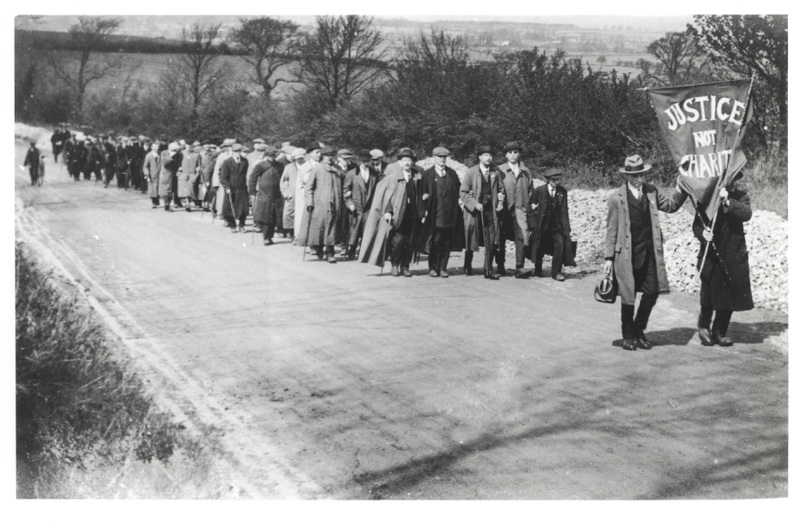 Description: From the records of the National League for the Blind and Disabled, in black and white, a march in 1920 campaigning for the Blind Persons Act 1920, with a banner saying “Justice Not Charity”.